Things To Do In & Around Historic Watertown ! * First Night in Downtown Watertown. * 19th Annual Irish Festival 788-1364. * Holy Family Church's May Fest. * Mt. Carmel Feast at St. Anthony's Church (late). French Festival in Cape Vincent. Can Am Days in Sackets Harbor. Pirates' Weekend in Alex Bay. 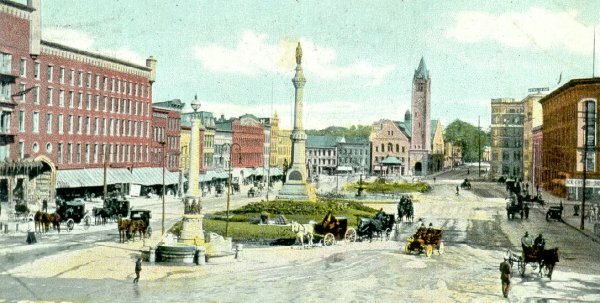 General Brown Days in Brownville. Catch Motor Sports Action at one of the area raceways! Clayton, NY has wonderful museums to explore. Have something to eat in Downtown! Internationally known recording artists (ie Country, Classic Rock, Pop, Oldies) perform at Watertown's Alex T. Duffy Fairgrounds. please send me an email!. * Halloween Trick or Treating. 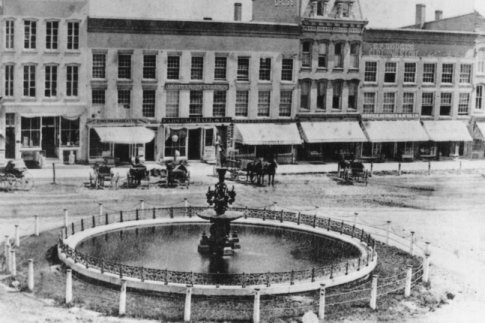 The Public Square Fountain was a gift to Watertown when it became a City in 1869. One activity I suggest you DO NOT do in Historic Watertown is climb on the fountain. It has come tumbling down twice due to climbing partiers! Thompson Park's Pinnacle Hill is the perfect place to fly a kite! Thompson Park's Pinnacle Hill is a great place for an afternoon of sledding! Looking for something to do in and around the City of Watertown? you may also walk the beautiful park's paved trails, use the exercise course, golf at the WGC, watch the children enjoy the creative playground (lots to do, in or out of the zoo!). a hands on science & technology museum in downtown Watertown. (Sept - Nov. only) Now open! in the entire 1000 Islands Region! or the Bay Drive-In Movies in Alex Bay.